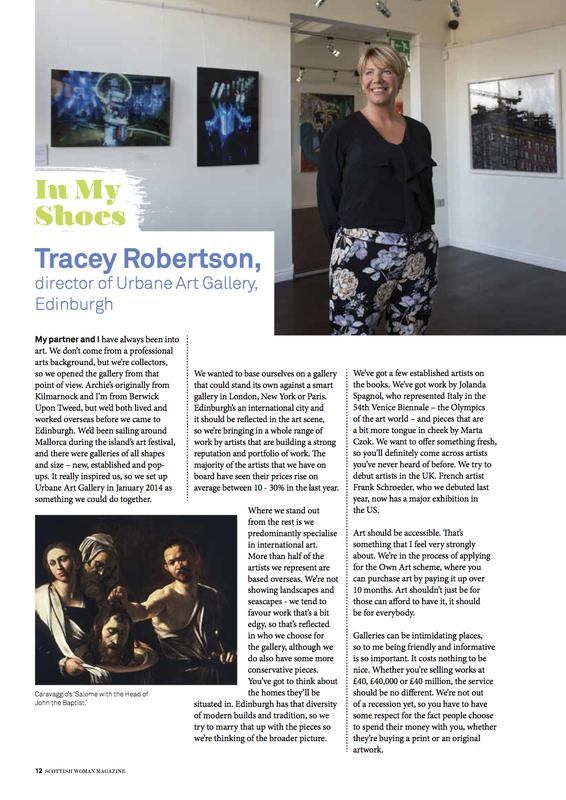 Scottish Woman Magazine did a wonderful coverage of the Urbane Art Gallery Director, giving a great insight of the backgrounds and aims of the gallery. "Art shouldn’t just be for those can afford to have it, it should be for everybody." To read the full article and learm more about Urbane Art download it here.